Before you can produce pallets, you have to prepare the lumber. Our experienced logging crews collect regional hardwood and pine logs. 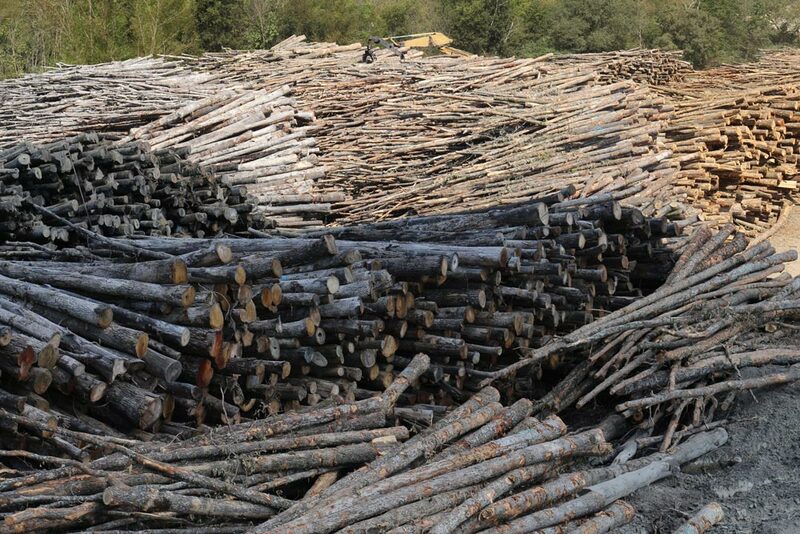 In addition, we purchase an average of 500 tons of pine or hardwood logs daily and 130,000 board feet of hardwood and green pine cants along with 150,000 board feet of KDHT (kiln dried, heat treated) weekly. Regional lumber is taken to our on-site gang saw where we cut it to custom lengths and thickness according to the specifications of the order. The gang saw allows us to produce a better final product – a higher quality, more consistent cut of lumber. We process lumber from outside sources in our band saw lumber room where it is also cut to custom lengths and thickness and goes through a de-dusting process. 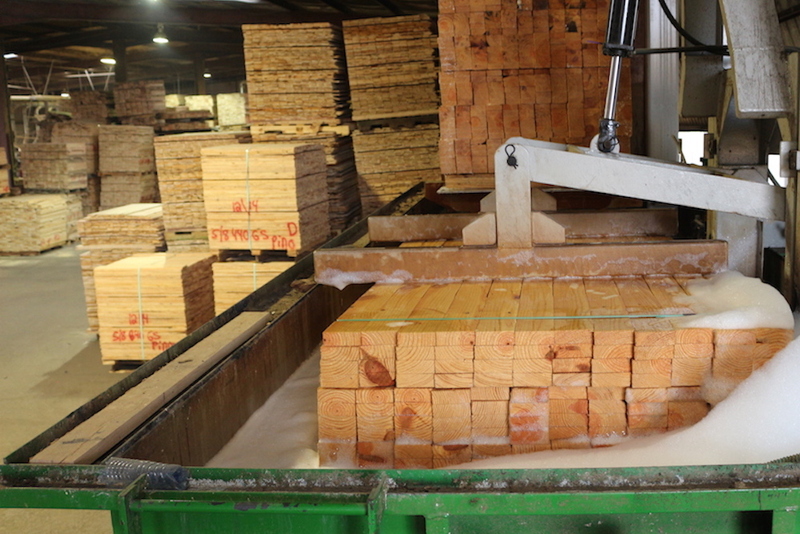 Our saw mill produces an average of 40,000 board feet daily of hardwood and green pine cut stock. In addition, our on-site chipping operation produces 250 or more tons of chips for distribution within the regional market. Next, the lumber is graded based on different factors including its strength, appearance and future function before being sent on to the next step in the process. 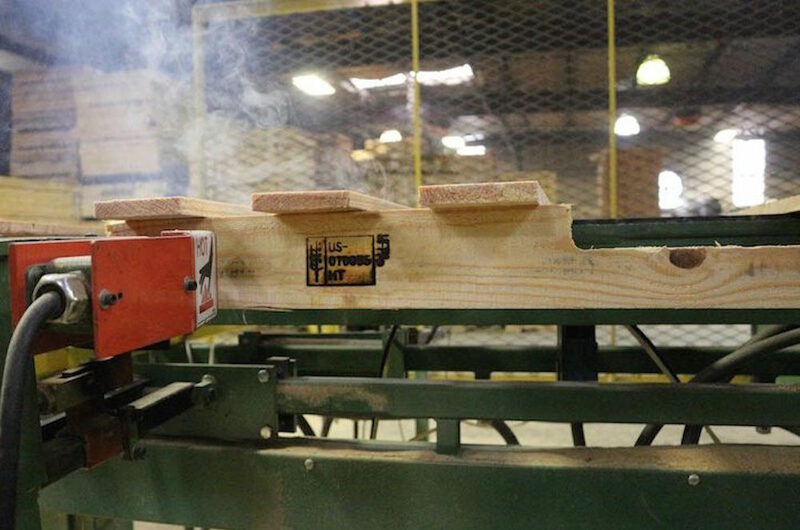 Upon customer request, we treat freshly cut lumber with PQ-80® mold preventer. PQ-80® is an effective, water-soluble concentrate formulation used for the control of sapstain (discoloration caused by the growth of fungi) and mold on both hardwoods and softwoods. It is FDA approved as a preservative for wooden articles used in transporting, packaging or holding food grade products. We apply the substance through dip immersion, which is considered the most effective way to treat lumber by mold prevention specialists. PQ-80® is applied early on in the pallet assembly process to ensure that mold and sapstain don’t have time to develop. Once lumber is cut to size it is distributed to different points of assembly within our plant. Lumber is taken to either our Custom Hand Nail Room, which consists of 4 different nail stations, or our Automatic Nail Room, which holds 3 automatic Viking nail machines. The Viking nail machines are computer driven. This technology produces 3 and 4 stringer pallets quickly, efficiently and precisely. 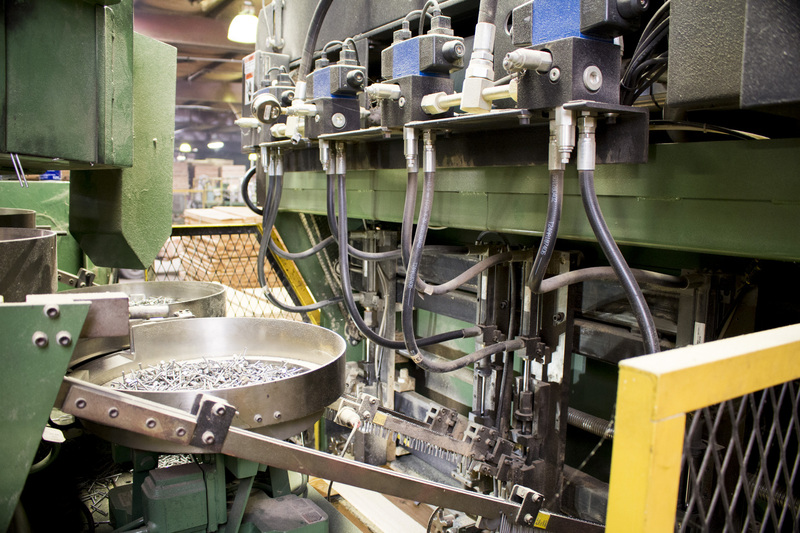 Each Viking nail machine is capable of producing 2,500 pallets, the equivalent of 3.5 truckloads, and our Custom Hand Nail Room can produce 2-3 truckloads of pallets per day, both within the span of an 8-hour shift. We have 2 heat treatment chambers for treating pallets, crates, skids and packaging dunnage lumber that will be shipped internationally. Our heat treatment chambers are capable of treating 10 loads a day, a level of production that allows us to complete even our largest orders precisely and in a timely manner. We treat these products according to the International Standard Phytosanitary Measure (ISPM 15), a standard that requires wood shipping materials to be heated to a core temperature of 133 degrees Fahrenheit for 30 minutes. This treatment prevents the spread of harmful plant pests and diseases. In addition to complying with ISMP 15, Smith Pallet is a member of Missouri Forest Products (MFP) and is certified by the International Plant Protection Convention (IPPC). These are just a few examples of our commitment to ensuring our products meet international shipping and safety standards. The Pallet Design System™ (PDS) is a product specification and engineering design software developed for the wood pallet industry. Our highly trained, certified personnel use this tool to process customer pallet specifications such as pallet dimensions, style and type. In addition, we use it to test the durability, load bearing capacity, resistance to damage, performance and life span of our pallets. Because the system enhances communication between us and our clients, PDS reduces costly mistakes, increases safety and reduces product damage. The professionals at Smith Pallet are highly trained in PDS and can provide this service upon request. At the end of the day, the quality of our work doesn’t matter unless we promptly deliver our customers’ products to them. Our facility includes an on-site fleet of 15 trucks dedicated to delivering our high quality products on a daily basis. These services extend to customers in Arkansas, Oklahoma, Louisiana and Texas. 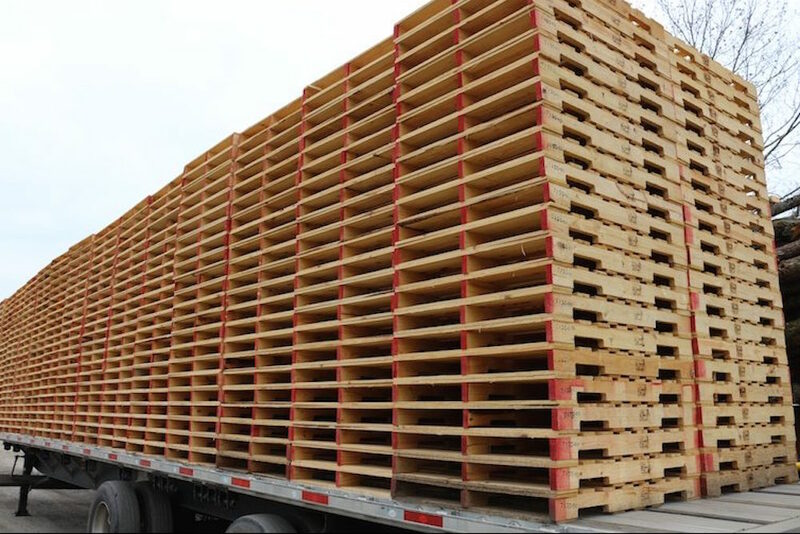 We quickly respond to rushed orders because we understand the importance of having your pallets when you need them. In certain circumstances, we will maintain a customer’s inventory at our own facility in order to process their orders within 3-4 hours of their initial request. We believe our excellent customer service sets us apart from the competition.